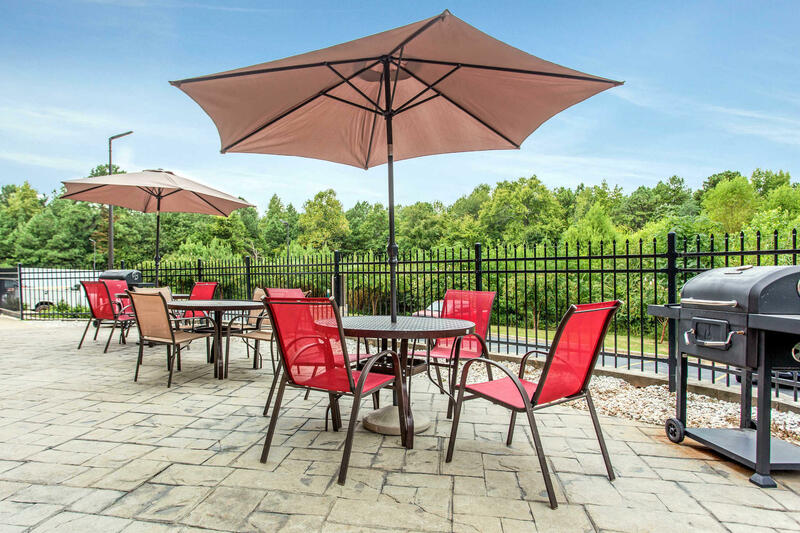 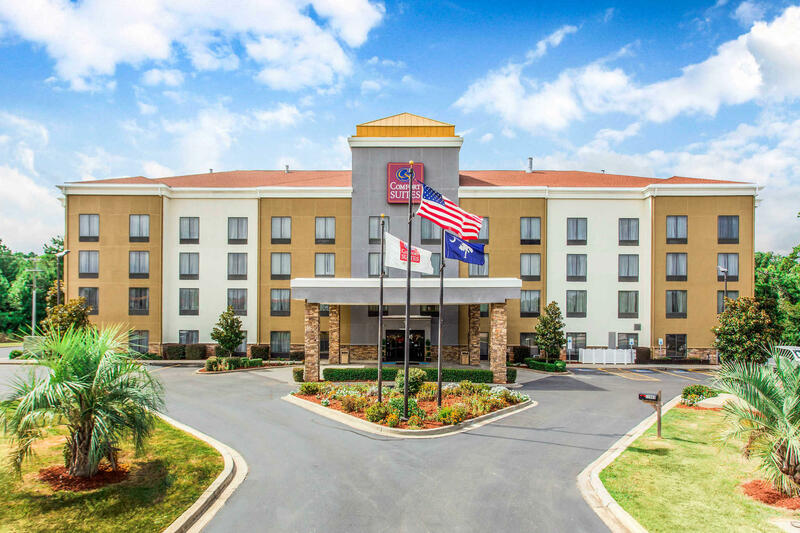 Stay at the pet-friendly Comfort Suites hotel in Clinton, SC near Musgrove Mill State Historic Site. 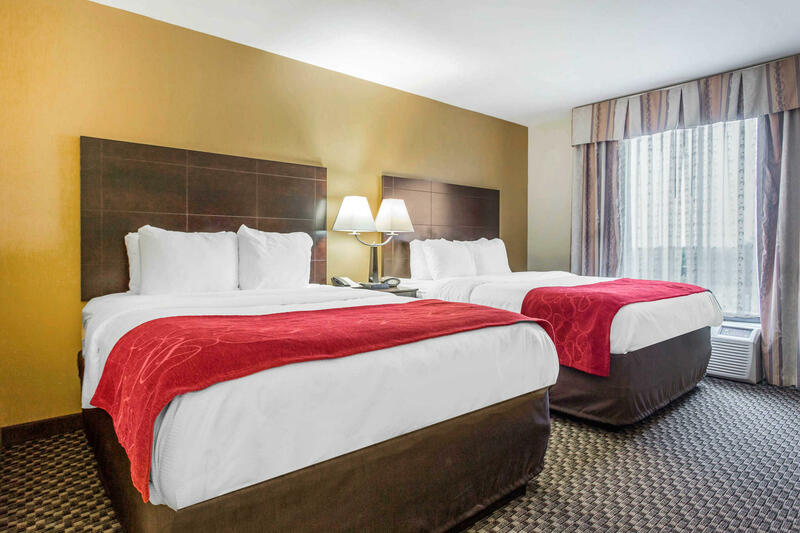 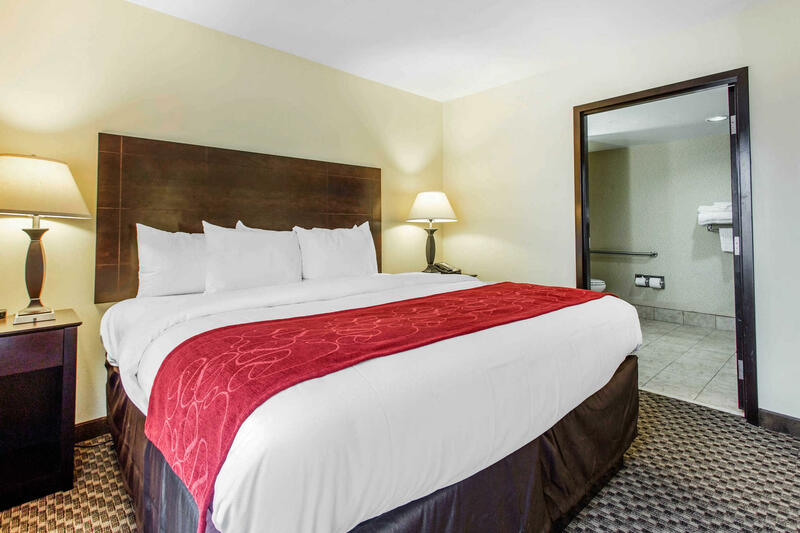 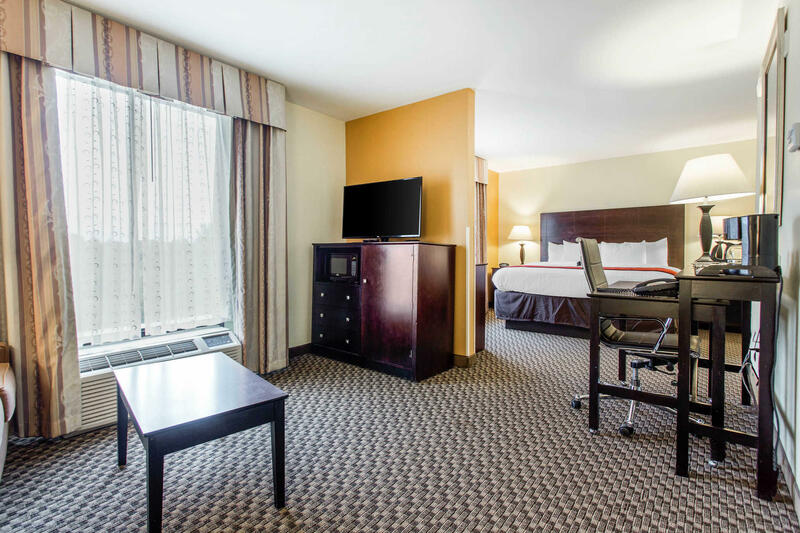 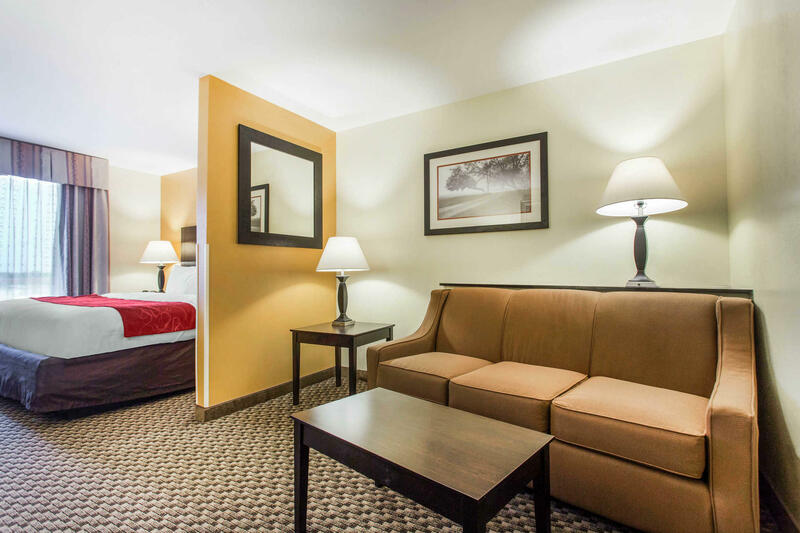 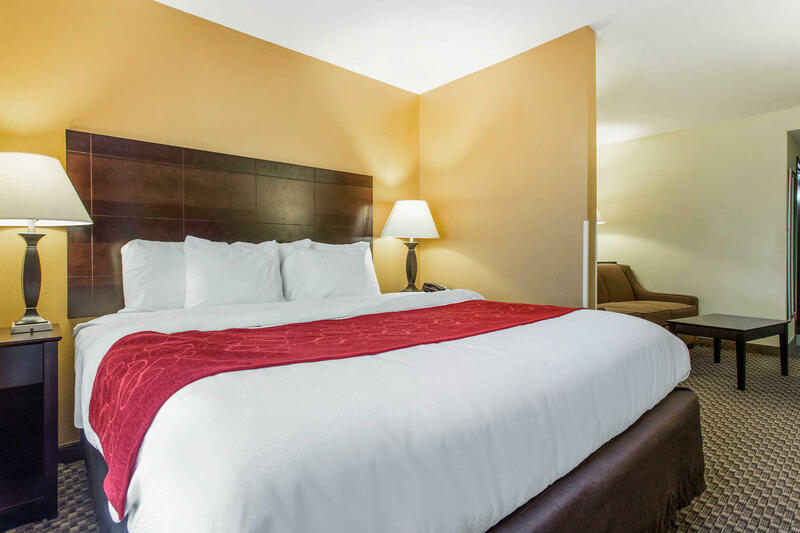 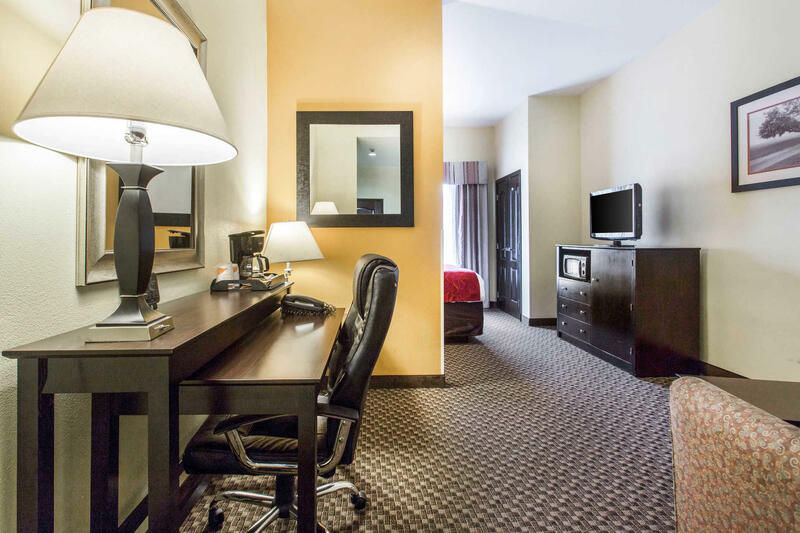 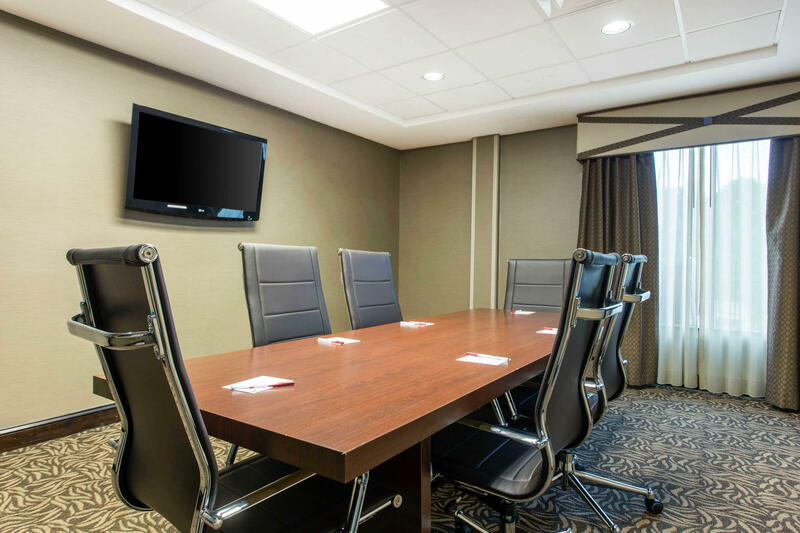 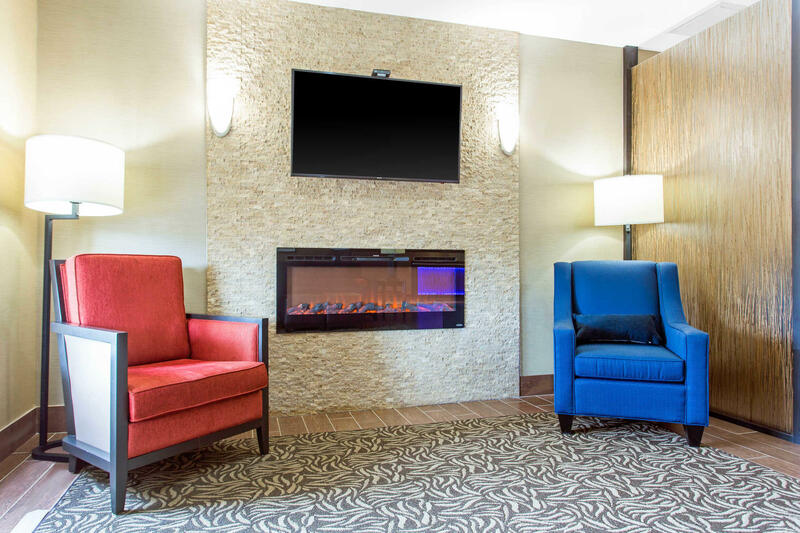 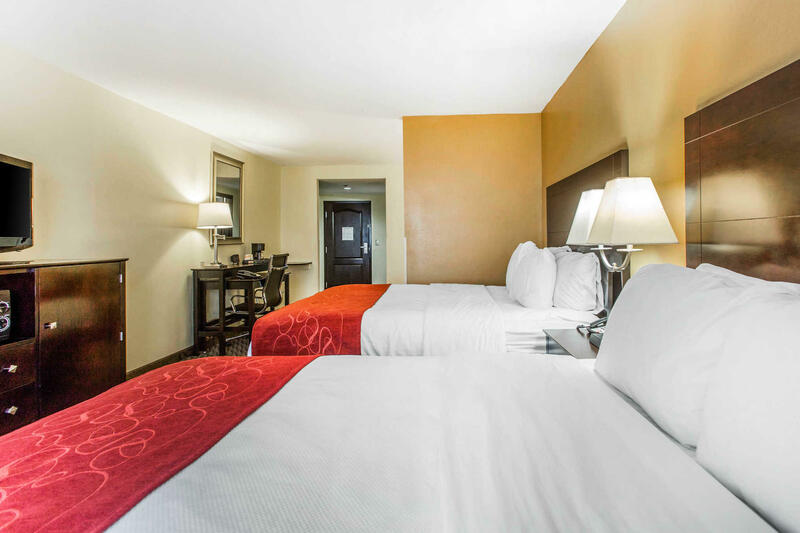 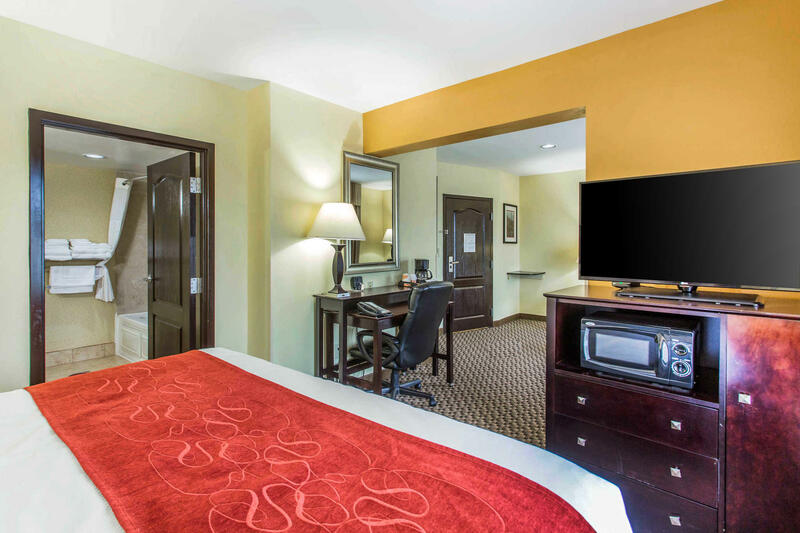 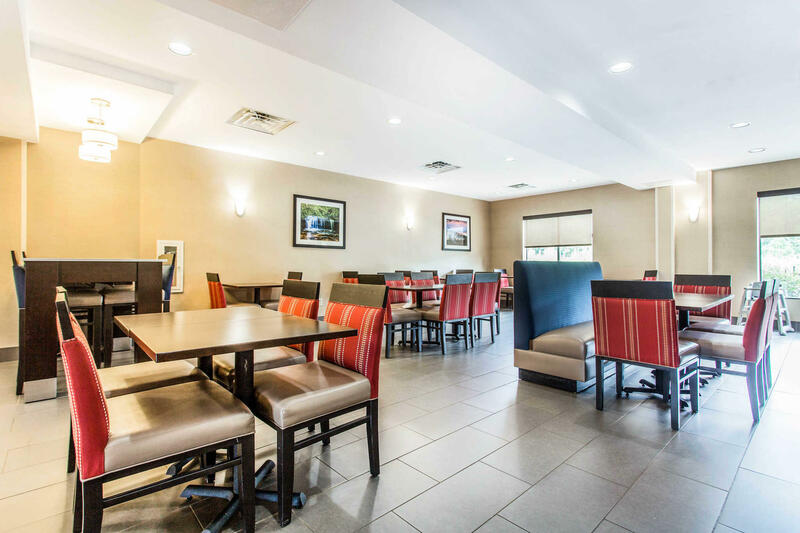 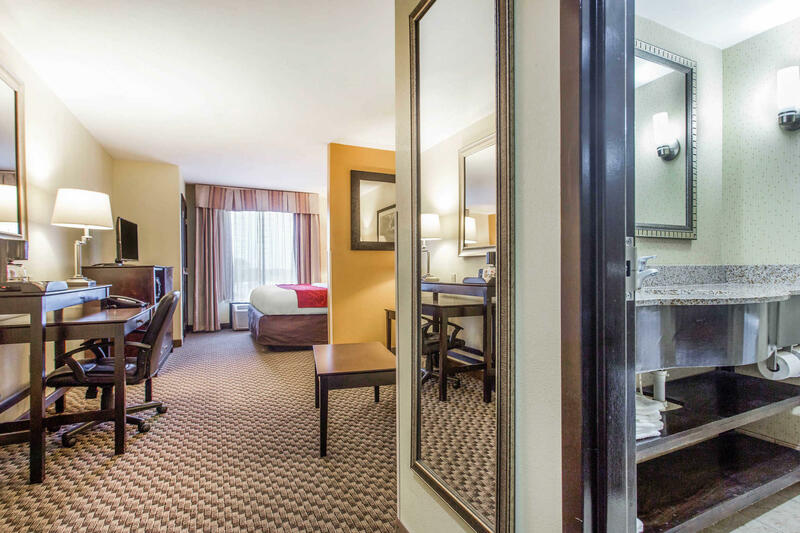 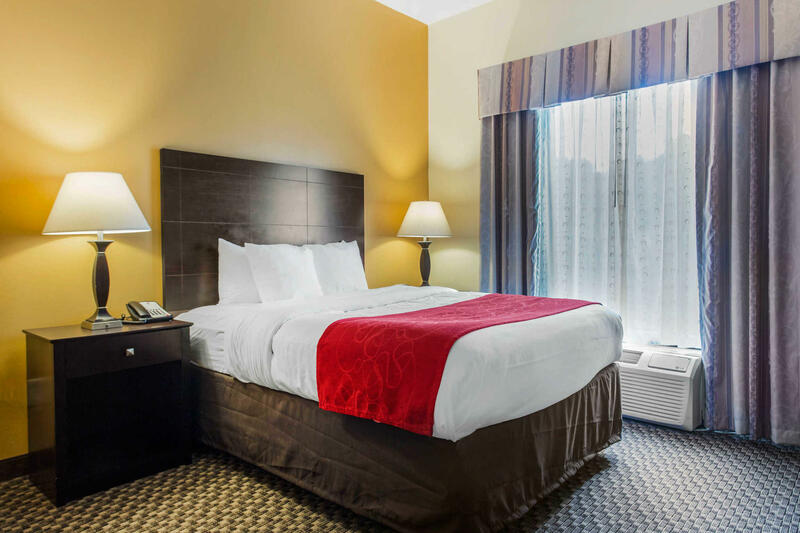 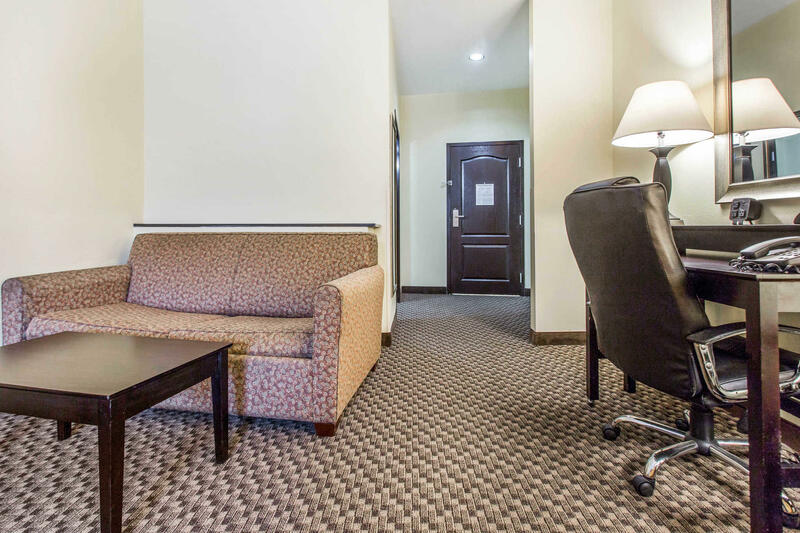 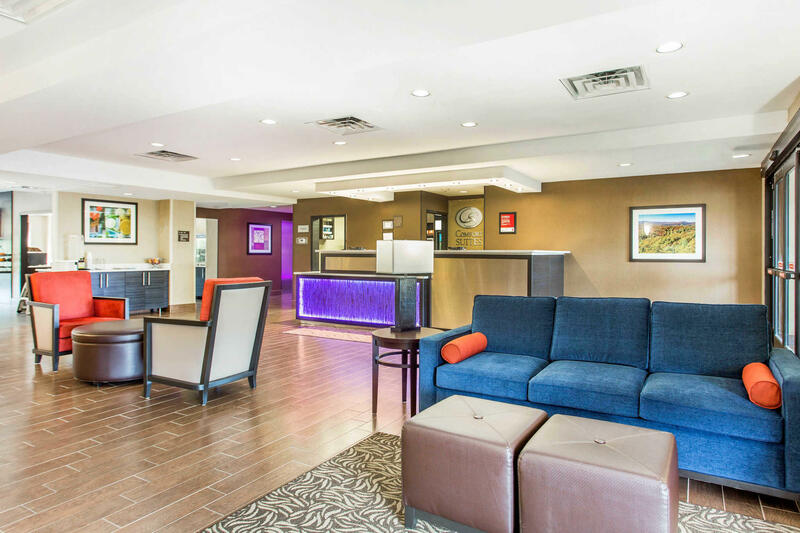 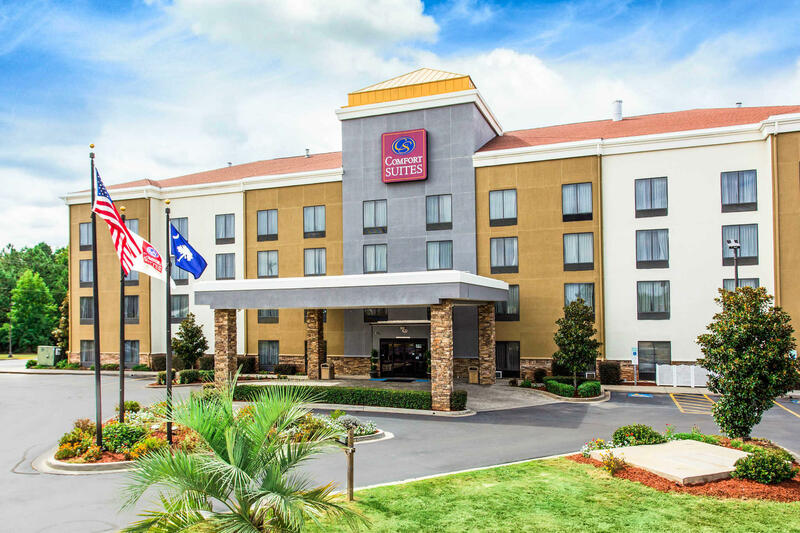 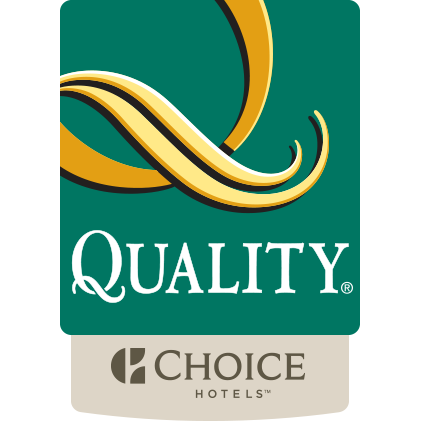 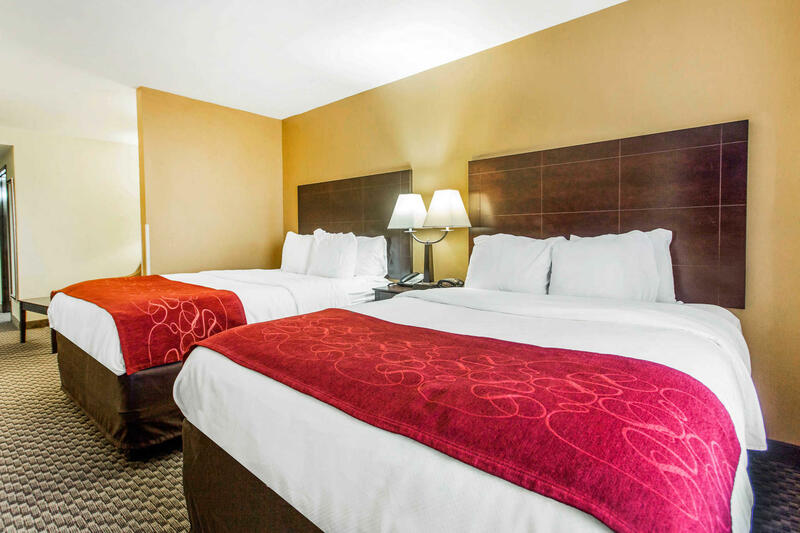 Our smoke-free hotel is located off I-26, perfect stop to rest during your travels through Clinton. 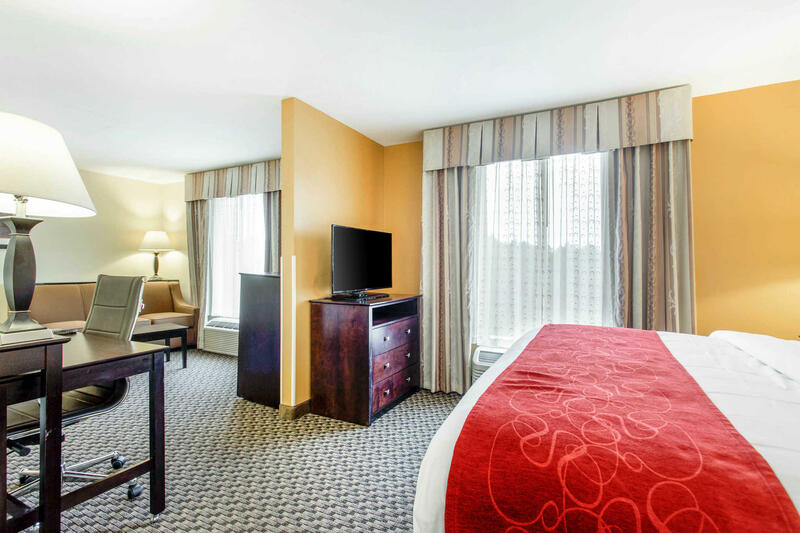 Nearby attractions include Presbyterian College, Clinton House, Brighton Park and the Clinton Museum. 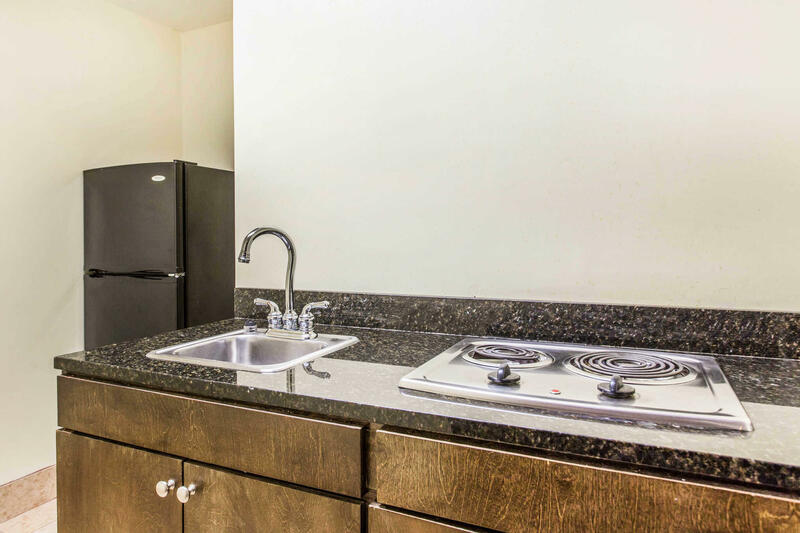 Lake Greenwood is just a short drive away! 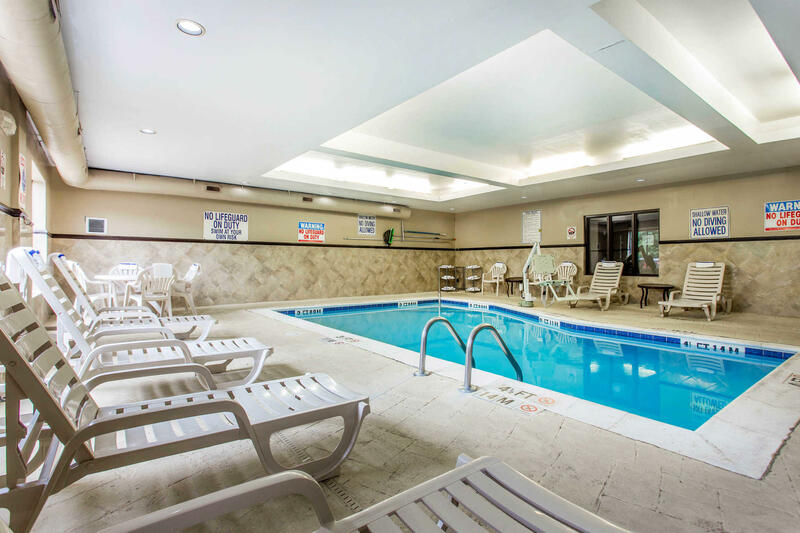 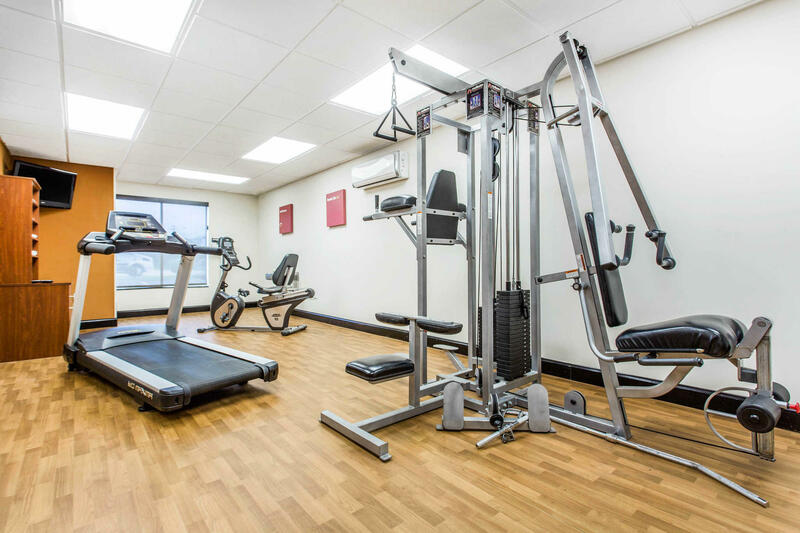 Enjoy our indoor heated pool, fitness center and sundeck. 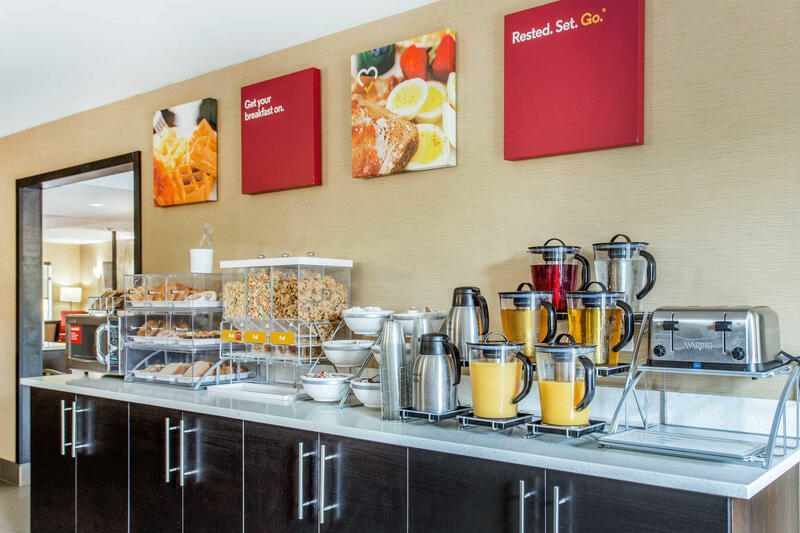 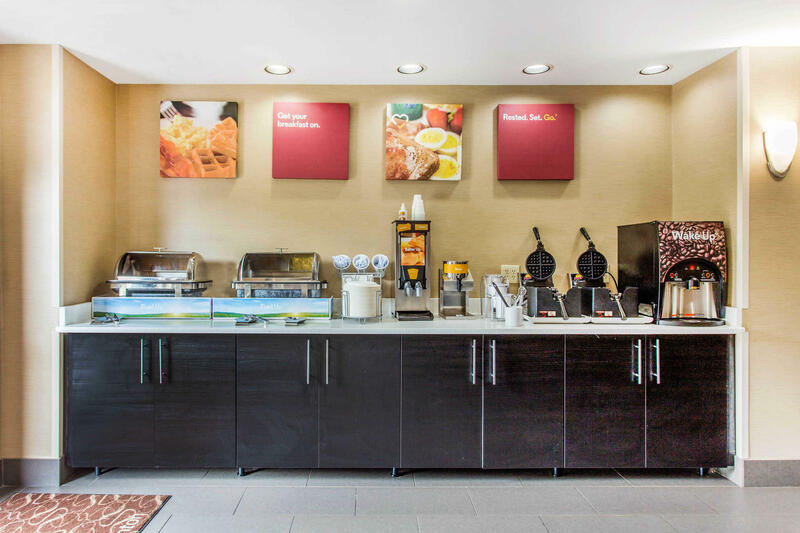 Free hotel features include WiFi and free hot breakfast. 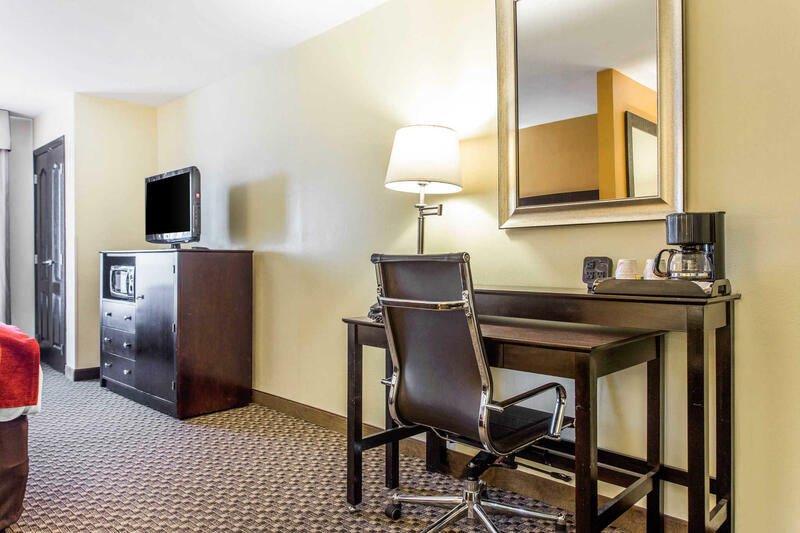 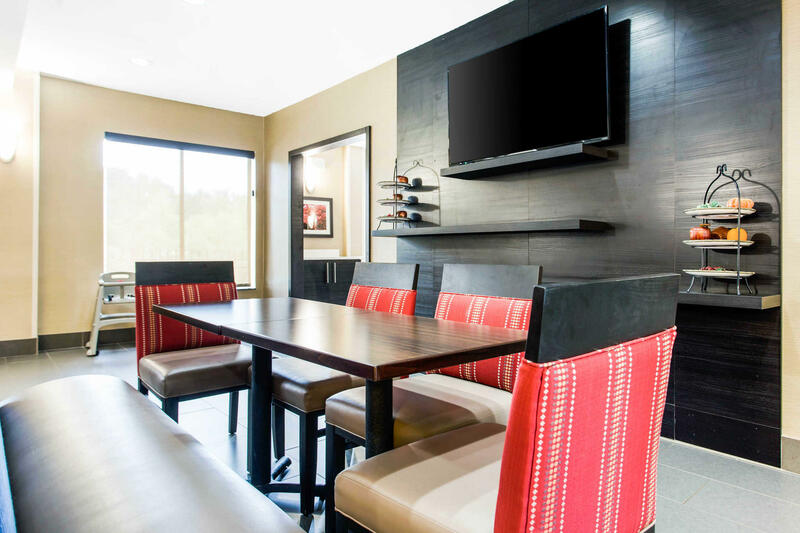 Suites feature a microwave, refrigerator, coffee maker, flat-screen TV, hair dryer, desk, iron, board, safe, and recharge device (AC and USB outlets). 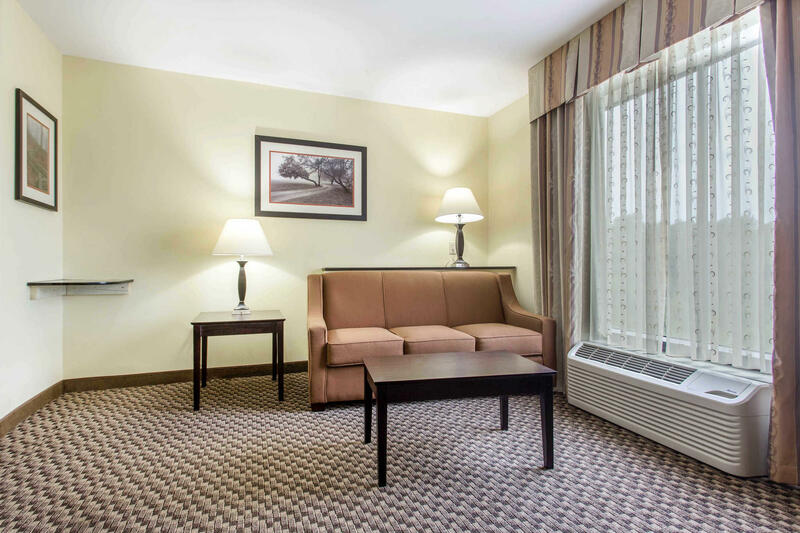 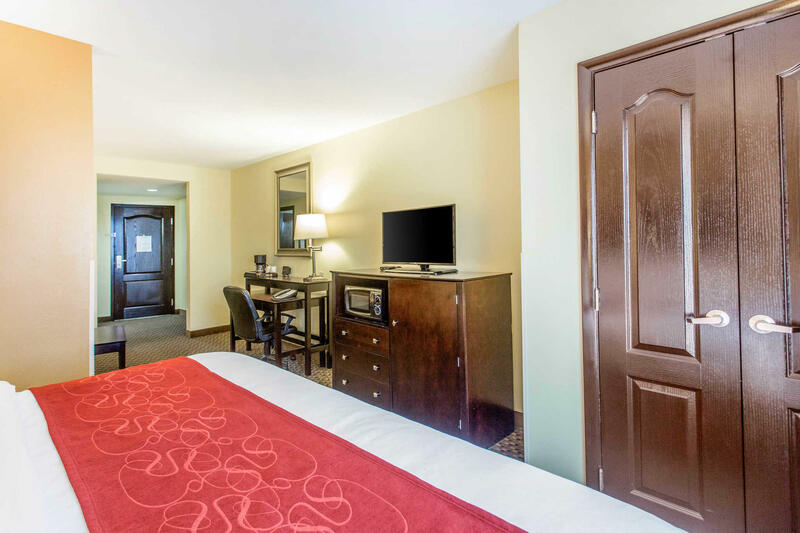 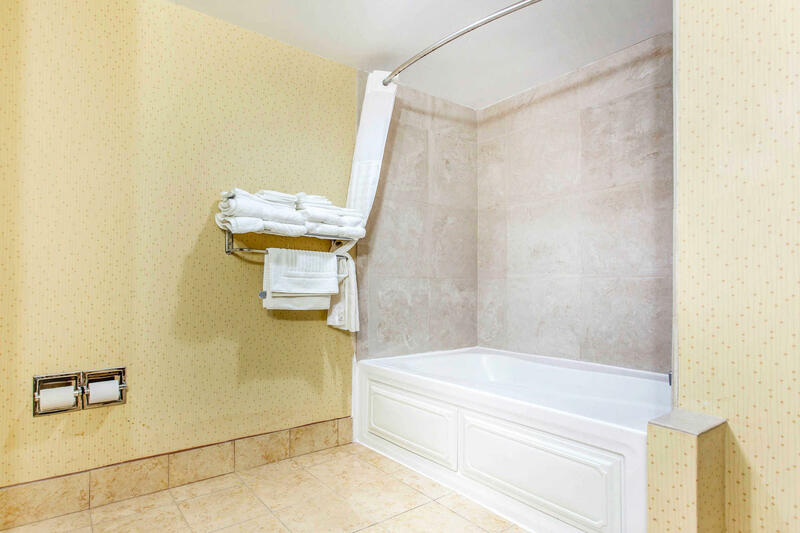 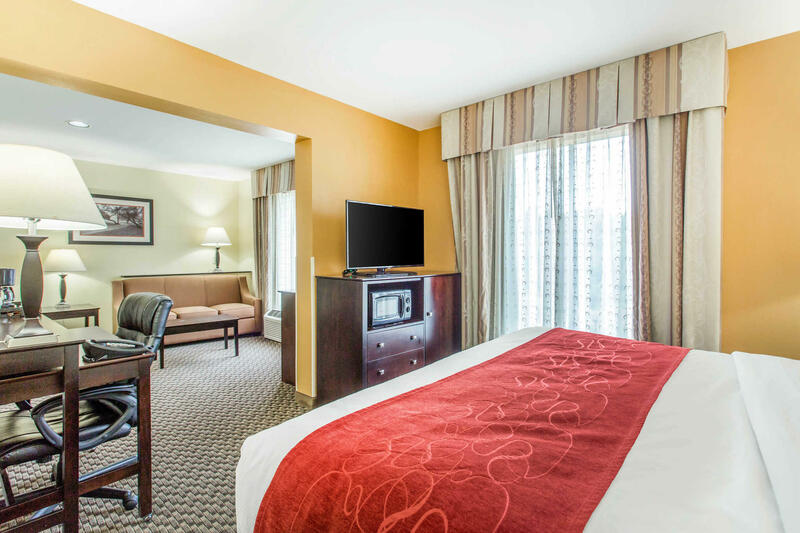 Select rooms feature sofa sleepers and whirlpool tubs. 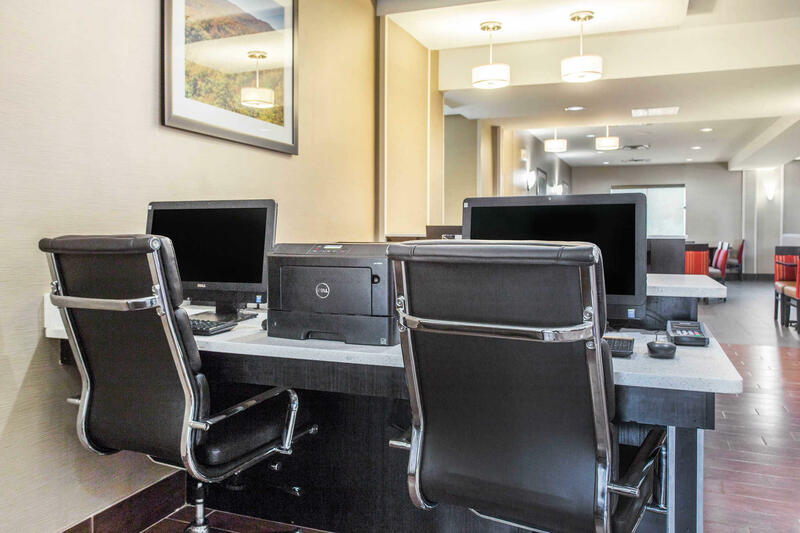 Our business center includes a computer, copy and fax services. 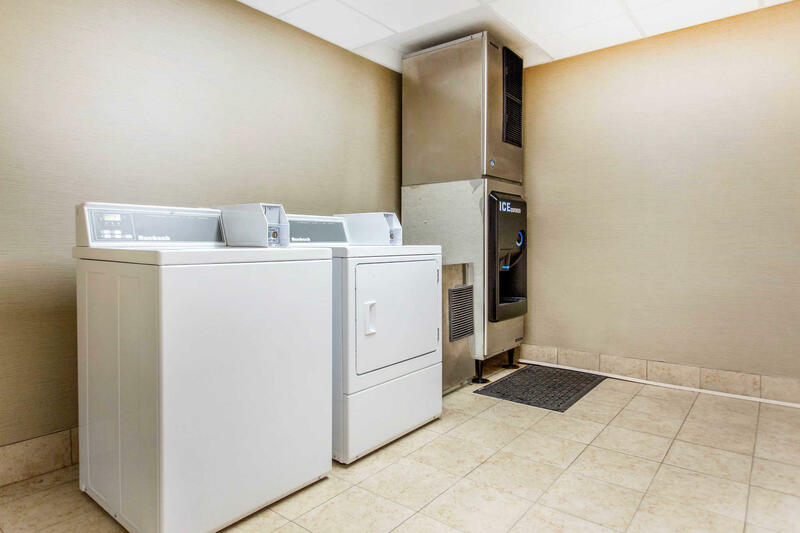 Guest laundry facilities are available. 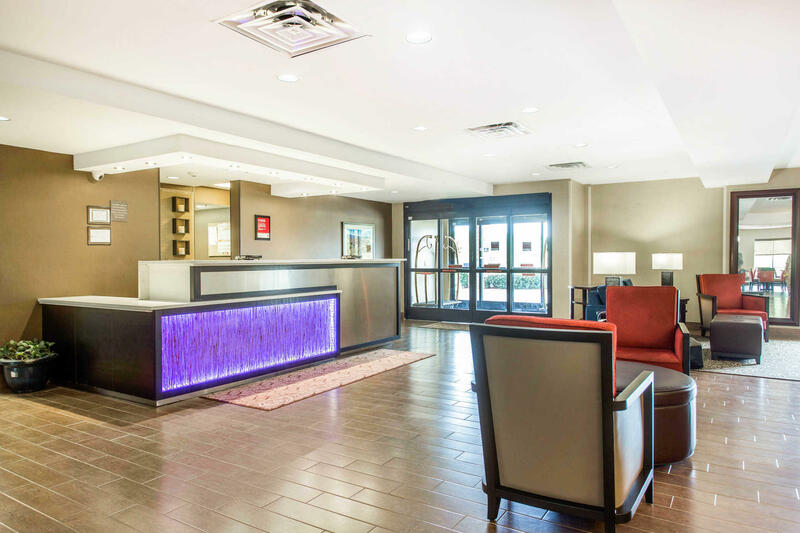 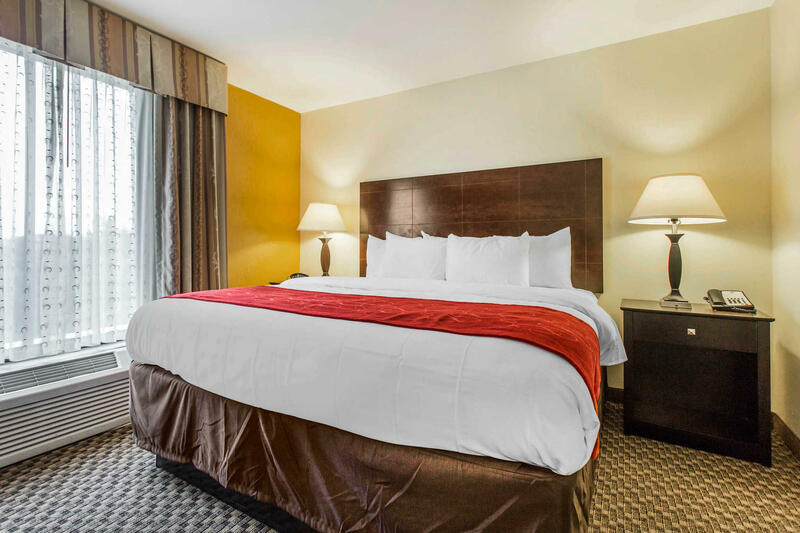 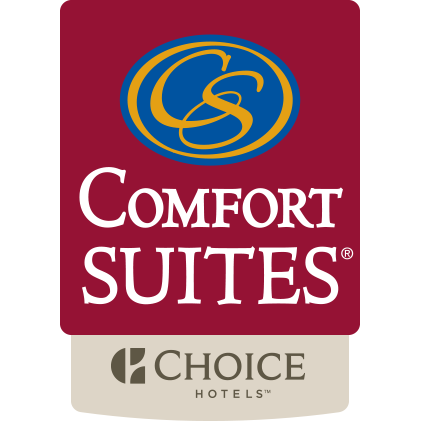 Book today at the Comfort Suites hotel in Clinton, SC!